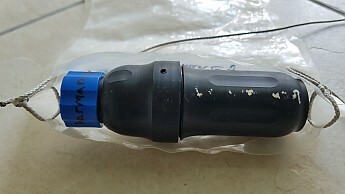 This is a review of the 2 Liter Evernew Water Carry reservoir (EBY208) but also of my gravity filtering system, incorporating a Sawyer Squeeze filter, a Sawyer Blue Coupling, plastic water bottles, and some lightweight line. A key feature of the Evernew Water Reservoir is that the threads are compatible with Sawyer filters. I have also found it to be far more durable than the stock Sawyer reservoirs. 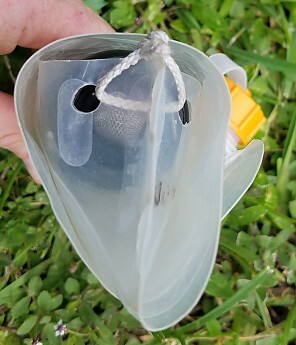 This setup is a simple, effective, reliable, inexpensive, lightweight, and hands-free way of filtering water that has worked very well for me. Gravity filter setup: First off, let me describe my gravity filter system, from top to bottom. It begins with the hanging loop that I attached to the bottom of my 2L Evernew reservoir. I use a small piece of Lash-it cord, which is extremely strong, lightweight, durable, and doesn’t stretch or absorb water. Then comes the reservoir itself, which contains the “dirty” water. In between the reservoir and filter, I have incorporated a standard faucet washer with screen. These can be found as a pair for sale at most hardware stores and on Amazon for under $2. The O-ring is the same size as the white one on a Sawyer Squeeze filter and the screen adds a little barrier for larger particles…this isn’t a necessary part of the system but is a nice, inexpensive upgrade. If nothing else, it’s good to swap out O-rings and carry the original one as a spare in your first aid kit…people lose them all the time! 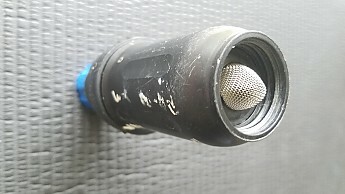 For storage, the Sawyer Filter fits perfectly inside the gusseted pocket of the Evernew, which I then roll around the filter and wrap with the hanging loop. This keeps everything tightly and securely packed together, ready for the next time I need to filter water. Lastly, a word of advice, it is important not to screw the water bottle/reservoir all the way into the blue coupling, as air needs to be able to escape out the top as the container fills. If sealed, the air cannot get out and water cannot filter in. If you notice a slow flow rate, this may be the problem. Generally, this gravity filter system will fill a 1L water bottle in about 5 minutes. The best thing is that I can sit back and relax or do other stuff while it does the work without me! 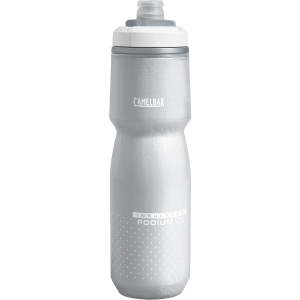 Capacity: Evernew produces 4 different sizes: 600 ml, 900 ml, 1500 ml and 2000 ml. 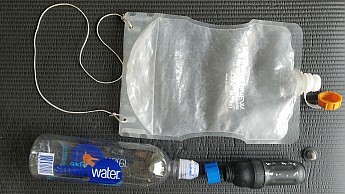 I chose the 2L reservoir to serve as a dirty-water bag and for carrying extra water, when needed. 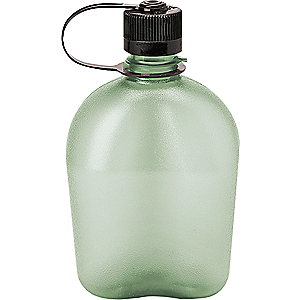 I have found that a combination of one 2L reservoir and two 1L bottles meets my needs perfectly during a thru-hike. If desperate for a little more, I could also carry water in my 700ml Vargo Bot or pick up another cheap plastic water bottle along the way. Economy: Most other brands of water reservoirs are over $20 but I purchased my Evernew for just $10.65 on Amazon. Ease of Use: I like simple water containers…the fewer the parts, the fewer pieces to lose or break and the lighter the weight. Many prefer wide-mouth reservoirs because they are easier to fill and to clean. I have just never found a small mouth container to be that cumbersome. I have discovered methods for filling them out of a variety of water sources and in really challenging circumstances, I switch to using my pot to scoop water. Really, it’s not that big a deal. As for cleaning, I have not had any issues with this reservoir becoming funky…this is after it being wet for 4 months straight (granted, the water in New Zealand is some of the cleanest). So I have had no reason to clean the interior. Another attribute is the clear plastic. I like to be able to see inside a water reservoir to ensure there isn't anything too gross going on. On several occasions, I've actually passed on filtering from a source after seeing how disgusting the water was once inside the reservoir. It gives you a clear pictures of things the water contains, like tannins (usually not harmful), algae, floaties, swimmers, etc. If I find a lot of swimmers, I usually dump them back. This is one of the main reasons I never liked using the solid-colored Sawyer bags...that and because they break easily. Features: The Evernew is a pretty low-frills reservoir, but even still, it has just the right amount of features. The cap is attached to the reservoir with a lanyard, so I can’t lose it. 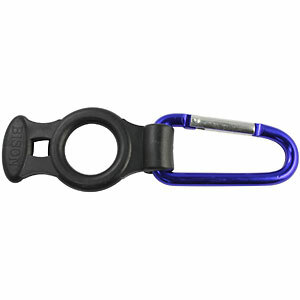 Also, there are “punch-points” at the bottom for punching holes and attaching a small piece of line as a hanging loop. This is key to the gravity filter set-up. Lastly, the bottom is gusseted so that the reservoir can stand upright like a soft water bottle. It also has tapered sides for grasping more easily. Construction & Durability: The one glaring problem with my Evernew reservoir is that the cap leaks ever-so-slightly. It has been a problem since day one and greatly disappointed me at first. But I have found that if I really crank down on it, it seals. I rarely carry water in the reservoir and when I do, I strap it to the top outside of my Hyperlite Mountain Gear pack, using the Y-strap. Therefore, at least there is no chance of it leaking inside my pack (a common problem with interior hydration pockets). More important that the reservoir leaking from the cap is that it DOESN’T leak when attached to the Sawyer Filter, re-contaminating filtered water. Platypus bladders notoriously have a slightly different thread size than the Sawyer Filter, which allows dirty water to leak all over your process. Before I used the Evernew, I used a Platypus on the Colorado Trail and dealt with this problem all the time. While it’s a nice reservoir, it just doesn’t play well with the Sawyer. Other than the cap leaking, I have been extremely impressed by the durability of the Evernew Reservoir. After months of continuous use, there are no holes, delamination, cracking, etc. I don’t expect it may make it through another full thru-hike but at least it is affordable and easy to replace. If it does, I will be most impressed! Conditions: I used my Evernew water bottle for a thru-hike of New Zealand’s 3000 km Te Araroa and for a 170 mile section hike of the AT. I will also be using the same reservoir to thru-hike the PCT. Looking for a quality, ultralight water carrying system that will go the distance? 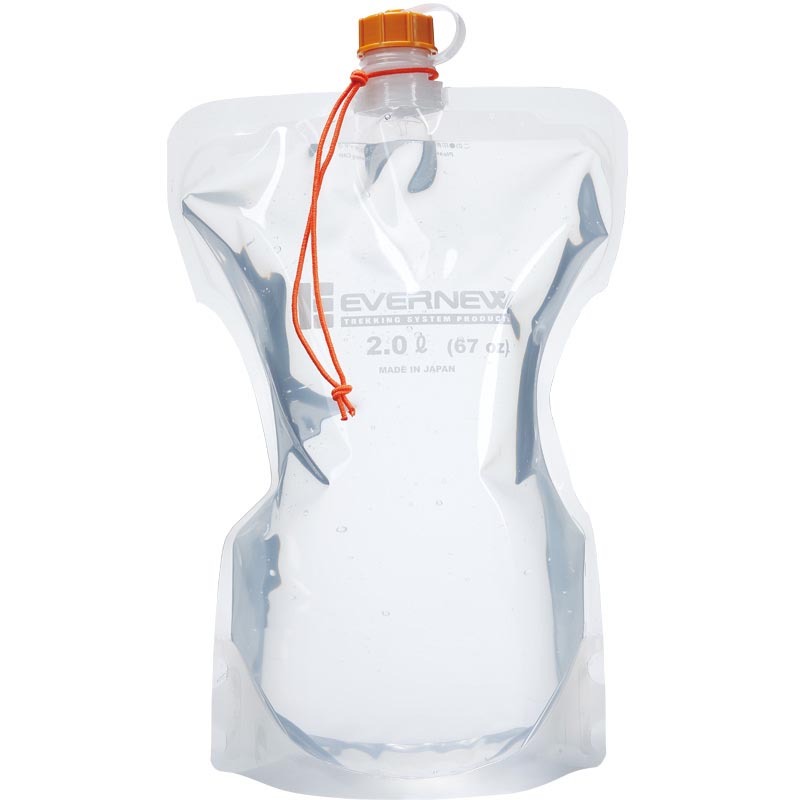 Evernew's 2.0 liter Water Carry hydration pack (EBY208) is made for weight-conscious hikers who desire a soft bottle option for transporting water. Lightweight and compatible with the Sawyer filtration system, it is a great choice for footing it through the backcountry. 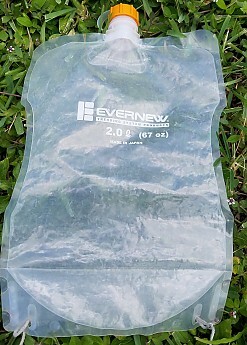 The Evernew EBY208 (the largest of Evernew’s three soft bottle options) is a lightweight, flexible water storage container. Also known as a soft bottle or bladder, the EBY208 weighs 1.48 ounces, carries 2.0-liters, and is fully compatible with the Sawyer Squeeze water filtration system, meaning that any Sawyer filter can be directly and tightly attached to the Evernew spout. The EBY208 is made in Japan and when purchased new, has no apparent odor or residue. It comes packaged in a single cellophane sleeve and like all Evernew products, is covered by a one-year limited warranty. The container’s body is made from clear, three-layered BPA-free polyethylene and has a gusseted bottom. The advantage of this design is that when the EBY208 is full and placed on a flat surface, it can stand upright. When empty, the EBY208 can be easily rolled up to the size of a pair of rolled boxer shorts. It can then be secured and held in place with the included elastic shock cord. 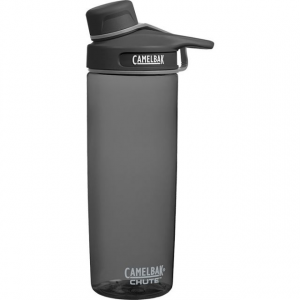 Both spout and cap are constructed of polypropylene and antibacterial silver powder–a germicide which can help drinking water remain potable for a longer period of time. Though constructed of quality plastic, the EBY208 might be considered a bit delicate. Carrying a full container just by the spout, intense direct heat, and sharp objects may all cause damage. 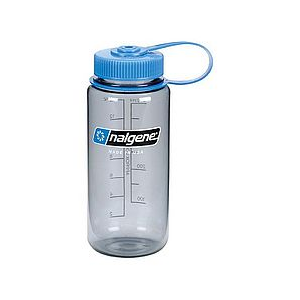 To ensure the product’s longevity, you have to be mindful of how you handle it for without doubt, it can’t suffer the same abuse or lifespan as a Nalgene or stainless steel container. It should also be noted that the EBY208 does not include a hanging strap. 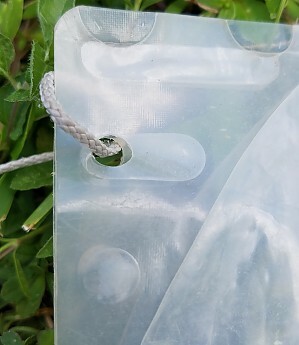 If you’d like to suspend it upside down from a branch for example, you’ll have to hack some method for attaching a cord to the container bottom. The good news is there is ample plastic to accommodate a few bored holes and if you look carefully, Evernew has even demarcated an oval and circle on the plastic to help with precision cutting—but again, these measures require a little extra effort and care. Overall, its low weight and compatibility with the Sawyer Squeeze make the EBY208 a winner—and though it’s a winner you have to treat gently, it’s a winner nonetheless. I have owned the Evernew EBY208 for half a year. It has accompanied me on two separate cold weather hikes. Nice review of your Evernew soft bottles, CD McGregor! Thanks for sharing it. If you have any pictures of your setup, those would be helpful to see in your review too. Thanks! Lightweight plastic water carry imparts no taste to drinking water. Tapered construction makes these reservoirs easy to handle and the gusseted bottom allows them to stand upright. Cap is attached to unit. Gusseted bottom allows reservoir to stand upright. Shock cord loop holds bag in rolled position for storage. Performane is questionable—bags developed leaks. 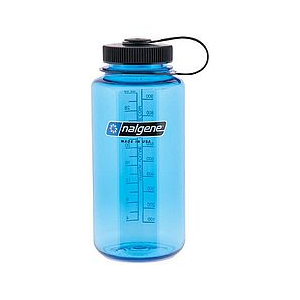 What first attracted me to this product was the availability of it in the 1.5 liter capacity. Evernew offers four sizes of these reservoirs: 600 ml, 900 ml, 1500 ml, and 2000 ml. The 1.5 liter reservoir (EBY207) is especially handy for transporting wine, and precisely holds the contents of a magnum-size bottle. The threads on the filler neck are compatible with other brands of hydration tubes and filtration systems. These reservoirs also have some other great features. The first is the integrated cap holder. No more searching for a missing cap or having the cap falling into contaminated water while filtering. These reservoirs also feature a shock cord attached just below the filler neck. The shock cord is used to keep the empty unit rolled up for storage. The polyethylene construction imparts no taste to the water (or wine) inside. The sides of the reservoir are tapered for ease of handling. The gusseted bottom of the reservoir allows it to self-stand. I would have rated this product with five stars if two of them had not developed leaks after relatively few uses. Both of them leaked right below the filler neck, where the filler neck is fused to the polyethylene sides. There was no appreciable wear on either of these, making the unexpected and untimely leaks that much more exasperating.